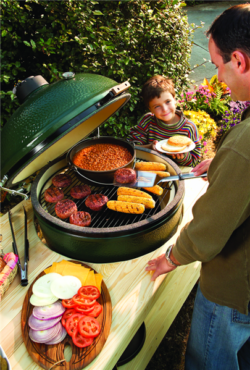 Customize your grilling experience with the many EGGcessories available for you Big Green Egg. Grilling: Sear steaks, chops, burgers and seafood with a flavor-packed crust unmatched by other grills. High temperature “steak house” grilling – even at 750ºF/ 400ºC – is quick, easy and delicious! 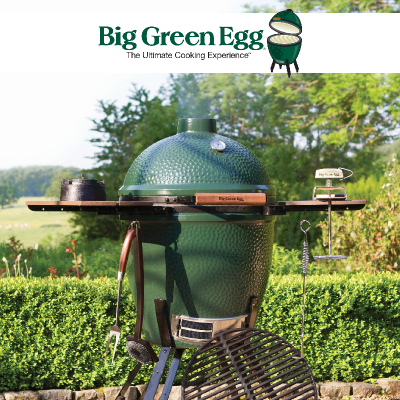 Low & Slow: The insulating ceramics of the Big Green Egg allow for precise temperature control at low heat. You’ll enjoy succulent results with turkey, ham, ribs or any of your favorite cuts. Want to slow cook at low heat for ten to twelve hours or longer? No problem! 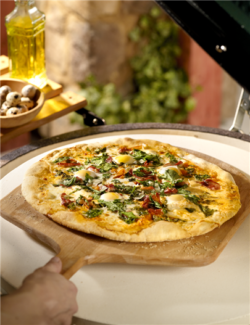 Baking: The Big Green Egg will bake your bread, pizza, casseroles, cakes and pies better and quicker than your kitchen oven! You must experience this to believe it. . . you may never cook indoors again! Smoking: No smoker performs more efficiently than a Big Green Egg. A wide variety of sumptuous flavor combinations and aromas to your cooking with our aromatic chips and wood chunks. . . since each type of wood reacts differently with meat, poultry or fish, the flavor combinations are endless. 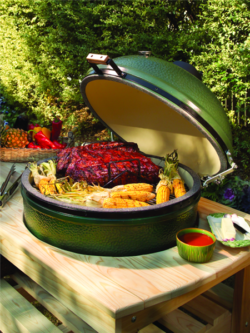 Roasting: The Big Green Egg retains heat and moisture so well that foods just don’t dry out! Poultry, lamb, beef and vegetables are naturally tastier because the juices and flavors stay locked inside. Everything tastes better cooked on an Egg!